"He is not here, He is risen just as he said"
This Easter day we celebrate the rising of Jesus from the dead. The words of the angel to the women who had come to embalm his body will be repeated many times in services all across the world today. "He is not here, He is risen just as he said"! These words proclaim the fact that Jesus' sacrifice on behalf of sinners was fully accepted by God for the forgiveness of sin. Sin and death have been forever conquered! May God richly bless you and your family this Easter day! "Death has been swallowed up in victory! Where, O death, is you sting? This is the day Christians remember the great cost of our redemption. 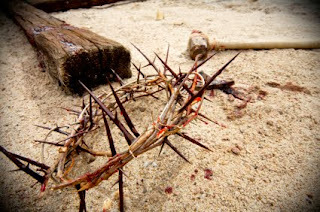 It took the lashing, the beating, the mocking, and the crucifixion of the holy and sinless Son of God to fully satisfy the righteous wrath of God over our sin and to provide the only acceptable sacrifice by which that sin could be forgiven without forfeiting God's justice. Jesus was not a victim, but willingly chose this path of pain and anguish so that a greater victory could be purchased, peace between God and man. I cannot fathom the brutal violence and physical pain that Jesus experienced, still further beyond my comprehension is what it was like for the sinless to become the sin bearer and be abandoned by God the Father, but through this act of supreme love the enormous gulf between God and man was bridged. What wondrous love is this! Today we remember the cost, on Easter we will celebrate the victory over our greatest enemies of sin and death. This time of year in CT the only areas open to fishing are the specially designated trout management areas. I am fortunate to have one close to where I live so that I can stop by after work and fish for a couple hours before dark. 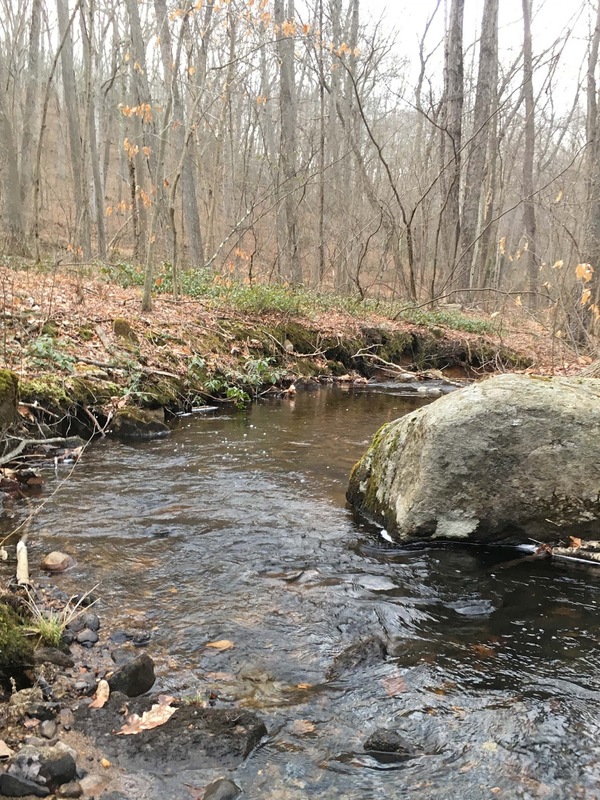 This is a "put and take" stream that does see some significant fishing pressure before and shortly after the season opens. 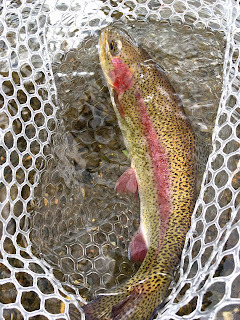 Before the season opens it's strictly catch and release but by early summer there really aren't many fish holding over. I typically fish it in the month of March, mostly because it is close and there aren't many other options. On occasion, I've been surprised by something I've hooked in this area and a quick trip last evening was no different. 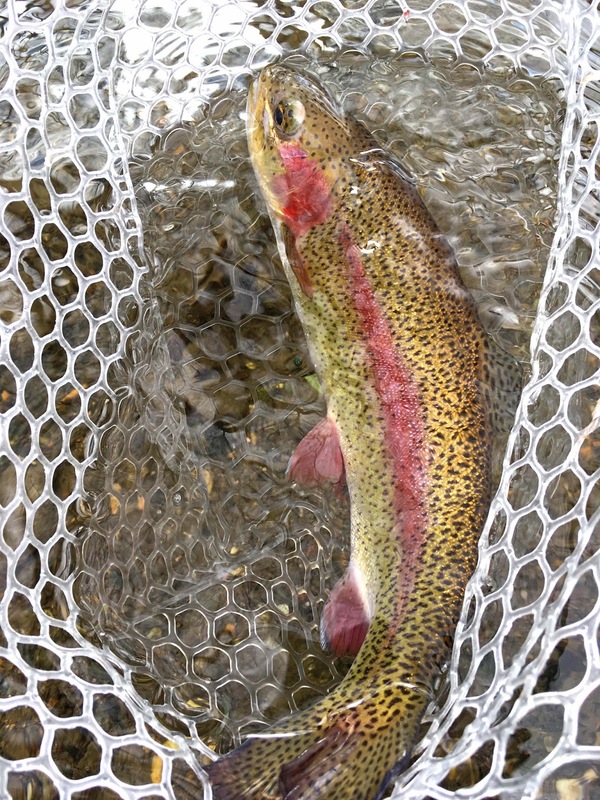 I had hooked a couple of stocked rainbows on flashy nymphs before I hooked into a heftier fish. When I got my first look, I realized it was a good sized sucker than had taken a flashy caddis pupa off the bottom. The funny thing is that I've caught a sucker of similar size in this same spot in march for the past couple of seasons. I don't know for sure, but it might be the very same fish! While I am not one of those people that enjoy targeting carp or suckers, they are strong fish and wild as far as I know. It was good to get in a little pre-season nymphing practice but everyone now and then you see something encouraging like a little wild brown! I'll take one of these over a net full of stockies. As March rolls on, here are three stone fly nymphs that I've been fishing. 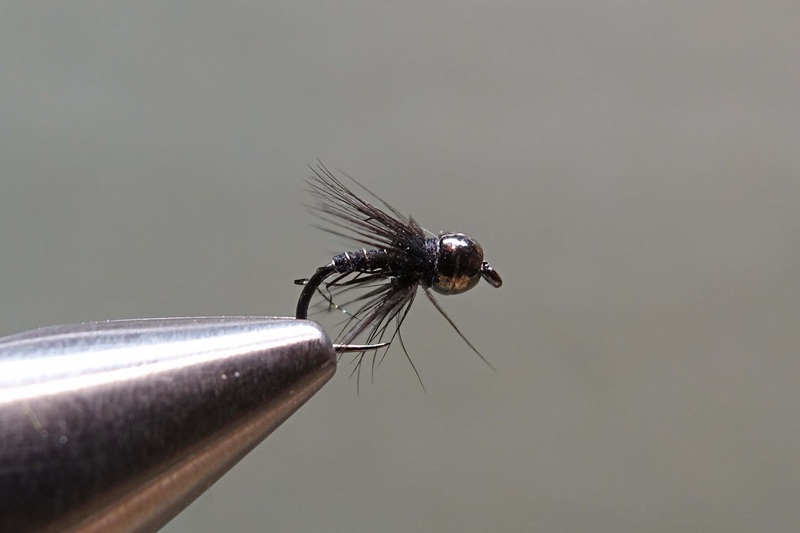 The fly on the left is a cross between a black zebra midge and a soft hackle. I've tied this one in size 18 and 20. This simple fly uses black thread, an extra small silver wire rib, black peacock ice dub, a gun metal tungsten bead, and a few turns of dark hen hackle. 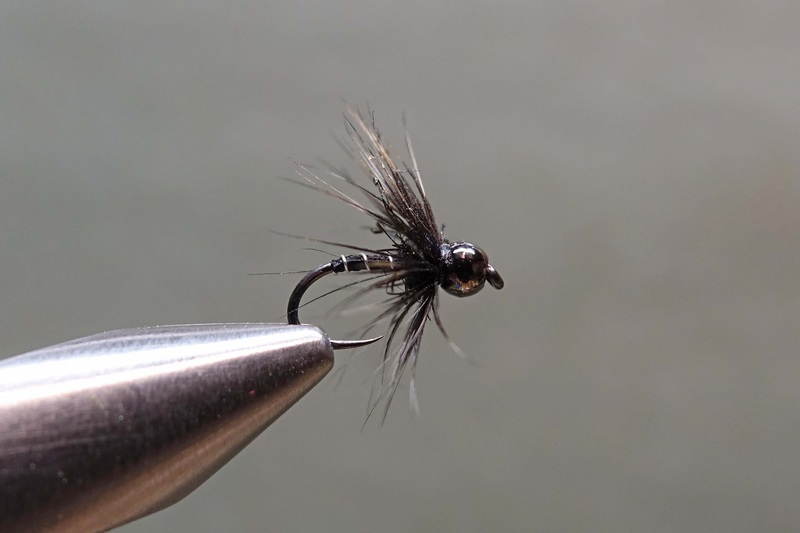 I've caught hold-over browns and rainbows as well as wild browns and brook trout over the last couple months on this fly, It also fishes well as a dropper behind your favorite winter dry fly. I also tie this one in size #16 (to the left) for the more typical size of the early stone flies. The materials are the same and instead of the extra small wire, I use small silver wire on a #16 competition nymph hook (lately I've been using the Hends BL 254 hooks). 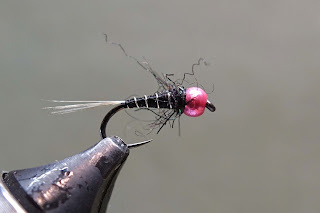 I had a few pink metallic tungsten beads kicking around so I tied this last one just for fun. Who knows if I will ever fish it, but I like the look of it. If truth be told, I like to fish familiar places, places that I know well and that I have invested the time in to learn. I would be willing to bet that I am not alone in this regard. When we do have some time to get out, we all head to stretches that we have a decent chance of finding willing fish. However, if you really want to learn to be a better fisherman, you need new places with unique and different conditions and challenges. Since my daughter has been attending college in central PA, I've been taking advantage of the trips down and back to spend some time on the Yellow Breeches. The Breeches, while not a true spring creek is a bit of a hybrid between a spring creek and a freestone stream. It is quite a bit different from a typical New England freestone which I am more familiar with and the learning process has presented some challenges to work through with each visit. I typically use a long rod with weighted flies on a mono-rig, but one of the sections of the breeches is too small for a long rod and when you are fishing #20 nymphs you need another way to get the flies down to the fish. By trying out different setups and experimenting with split shot, I've been learning how to be a more effective nymph fisherman. 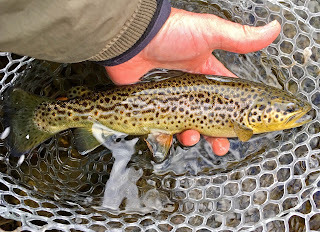 This past outing I was taken to school on fighting fish in tight quarters with a small nymph in their jaw. The first handful of fish I hooked quickly came lose when they would charge around the small pool I was fishing. Eventually, I figured out that by keeping the rod tip low and using side pressure, the small hook would hold and fish could be landed. It is challenges like these that fishing unfamiliar water presents. These challenges require us to solve new problems, learn new techniques, and strategies that in the end make us more complete fly fisherman. So go fish some new water! You will probably catch less fish at first, but in the end you will be a better fisherman! As of this morning the trout season in CT is closed. 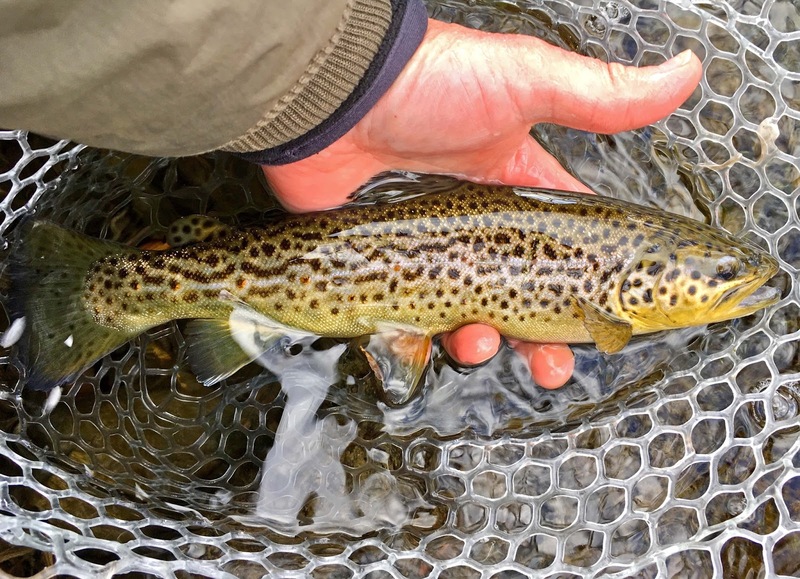 There are special regulation areas that remain open all year long but those of us who enjoy fishing the small streams that are not stocked and off the beaten-track, will have to wait until April to fish them again. 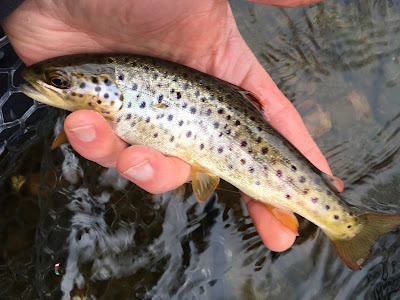 I had been watching for a break in my schedule and the weather to check out a small stream I fished back in the spring and yesterday afternoon was my last chance. 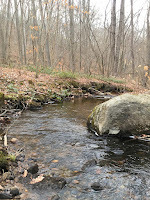 The ground was damp from all the recent rains and the brook was full and healthy. The skunk cabbage is breaking through the ground everywhere now, it's distinctive smell noticeable but not overwhelming. With only an hour or so of daylight, I moved quickly to cover a couple runs that I thought might hold fish. 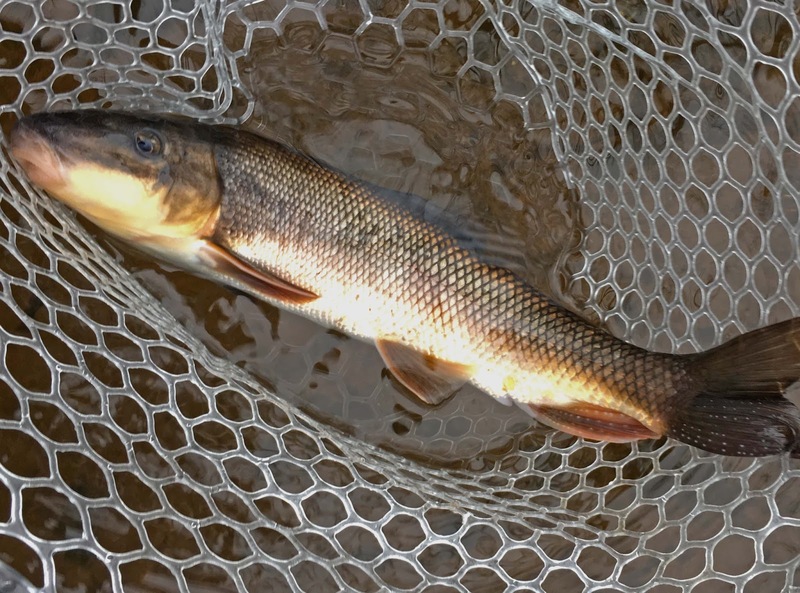 The dry-dropper that had been productive on another stream proved useless. A pink squirmy worm with a tungsten bead confirmed the brook trout were willing to pick up something that looked like a meal. After a few light bumps on the worm, I switched to an Ausable ugly which connected with the first brook trout of the afternoon. 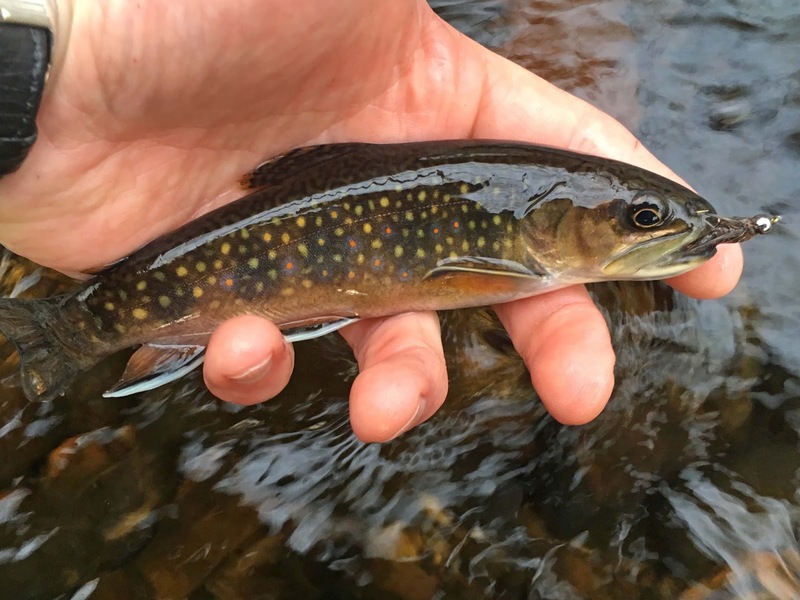 I continued to fish the "ugly" and found brook trout just were they were supposed to be, in the deeper, softer sides of the runs. I am looking forward to returning in April knowing that the native population had survived the past summer, fall, and winter. Even though my time was limited, I was thankful to close out the last hour of the season on a small stream! This is why I fish small small streams!